CAETestBench is a mid-stage validation procedure in which a standardized physical part is created and tested under a rigid protocol that can be accurately reproduced in simulation. Using techniques such as digital image correlation (DIC), it is possible to probe the accuracy of the simulation prior to use in real-life situations. The test cases range from simple tensile modes to more complex multi-axial modes, impact and failure. CAETestBench validations are available for plastics and additively manufactured metals; validations for rubbers are currently under development (see A Mechanism for the Validation of Hyperelastic Materials in ANSYS). 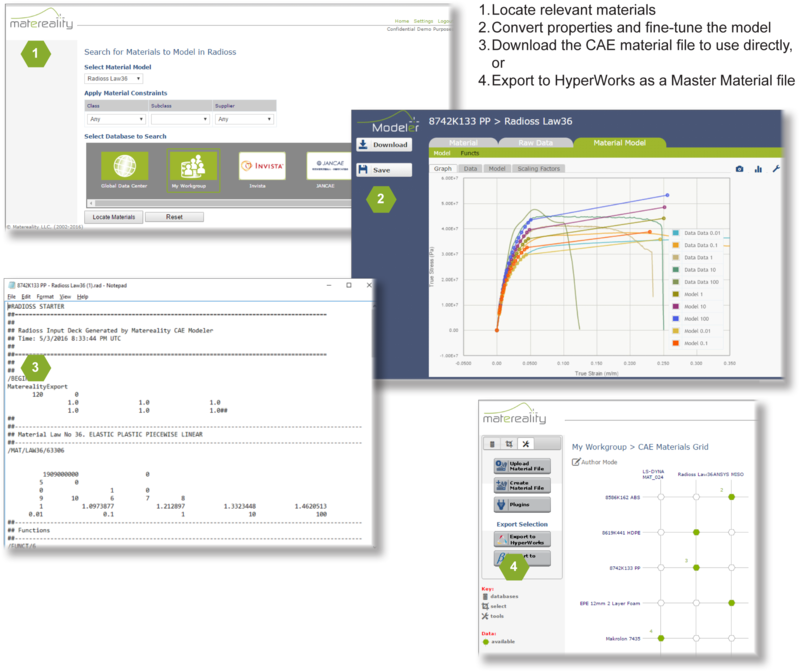 Add a CAETestBench validation when ordering TestPaks® to gain more confidence in your simulation. Matereality Version 10.1 is in the final stages of testing before being made available on the Matereality Cloud and for Enterprise MDS installations. 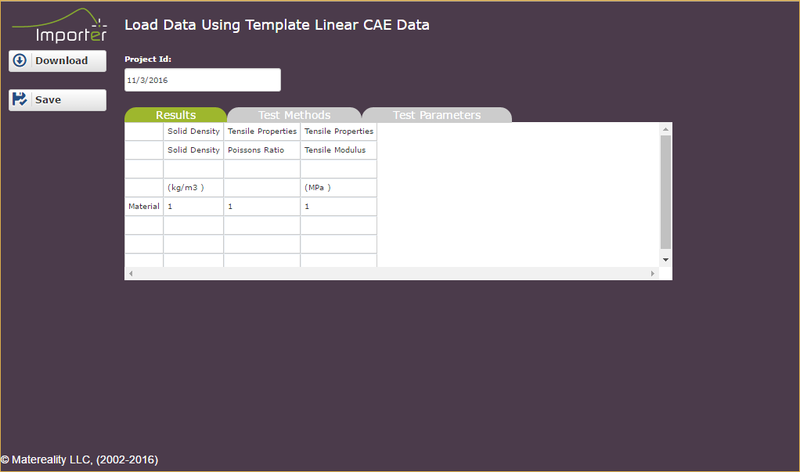 New capabilities include tools for importing large amounts of legacy data into your libraries, and additional supported CAE Modeler formats for LS-DYNA. Templates for loading property data and specification property limits are user-created with the MIRO Designer app. Select these models under LS-DYNA in the CAE Modeler app. The webinar will be presented by Adam Beckwith, Matereality software product manager, and Megan Lobdell, DatapointLabs engineer. Knowmats Site Features Recent Technical Publications on "Materials in Simulation"
DatapointLabs founder and CEO, Hubert Lobo, and laboratory director, Brian Croop, have written a book describing the state of the art in material testing for CAE. This book informs simulation users of the manner and methodologies by which materials are tested in order to calibrate material models currently implemented in various FEA programs. It incorporates extensions beyond basic material models to address currently active areas, including explicit simulation. Find a review of this book on Knowmats.com. It is available for purchase directly from NAFEMS.org.